One of the most common questions that people have when they are researching multifunction printers is whether or not the need to opt for the color option. And, the main concern is not whether or not they want color — the answer is almost always yes — but, rather, apprehension over the perceived costs. The good news is that a multifunction printer is going to be the rockstar device of your office no matter what. You can print, copy, fax, scan, and then some all from one sophisticated machine. And, thanks to networking capabilities, multiple employees can use a single MFP to get their work done. We get it, upgrading your office equipment should help you reduce spending, not increase it. An affordable print program must be a top priority since it is a business area that can come with hidden costs. While the concerns over cost are valid, here are some factors to consider when shopping for a color multifunction printer. Eliminate outsourcing costs. When you have a big print job that your current printer can’t handle, you have to outsource it to a vendor or print center. Having a color MFP on-site eliminates the extravagant costs associated with outsourcing — which costs 500 to 2000 percent more per color copy. With your in-office device, you can print a page for approximately 6 cents per piece. Save money on ink. When you get a color multifunction printer for your business, you eradicate the need for multiple desktop laser printers, which require high-cost disposable print cartridges. Plus, the cost per page of laser printers is significantly higher than on a color MFP. Getting one machine that can serve multiple purposes and multiple employees will save money and streamline workflows. Take advantage of functions and features. Use tracking codes to monitor activity and prevent unauthorizes usage. Employee tracking codes and rules are a great way to keep costs in line. And, to reduce unnecessary color print, set default setting to black and white so that staff members must select color print only when truly necessary. 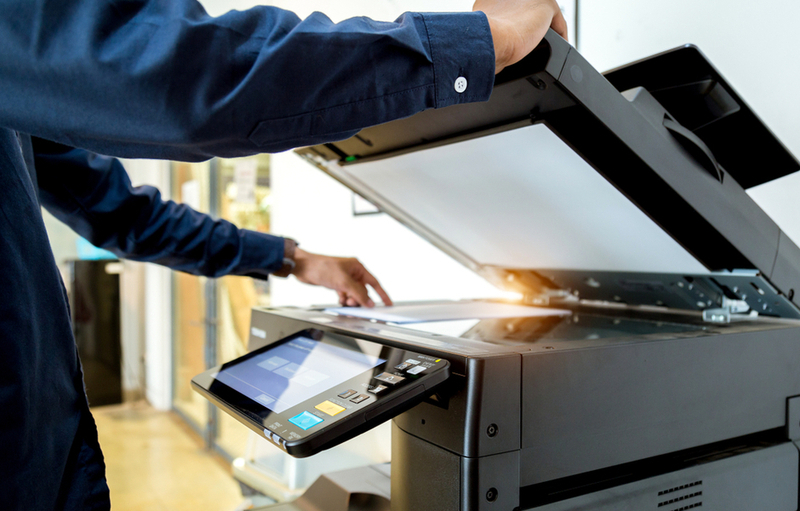 When you break down the overall cost savings, it becomes clear that investing in a color MFP for your business will not only save you money, but it will also eliminate wastefulness and increase productivity. Still have questions or concerns? No problem. Contact us today for answers.